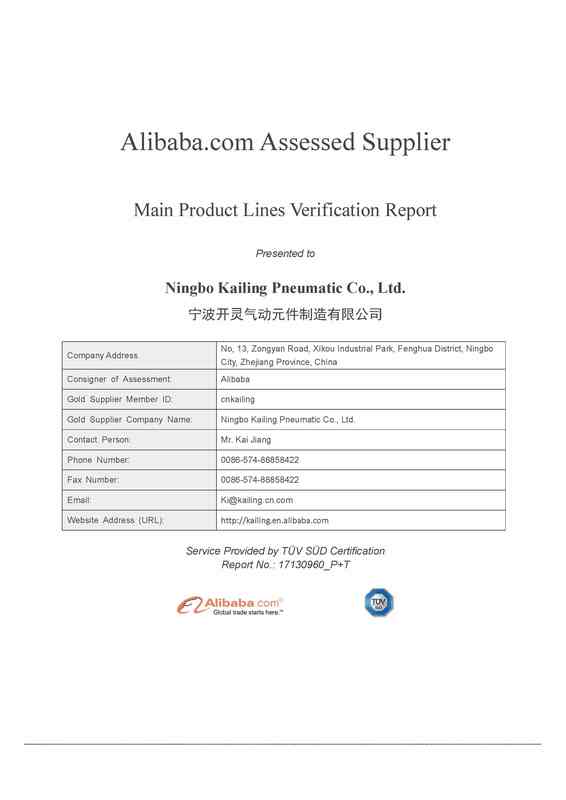 Company Overview - Ningbo Kailing Pneumatic Co., Ltd.
11YRSNingbo Kailing Pneumatic Co., Ltd.
Ningbo Kailing Pneumatic Co., Ltd. (formerly named Fenghua Kailing Pneumatic Co., Ltd.) is a leading Chinese company specializing in the manufacture of solenoid valves and pneumatic components. 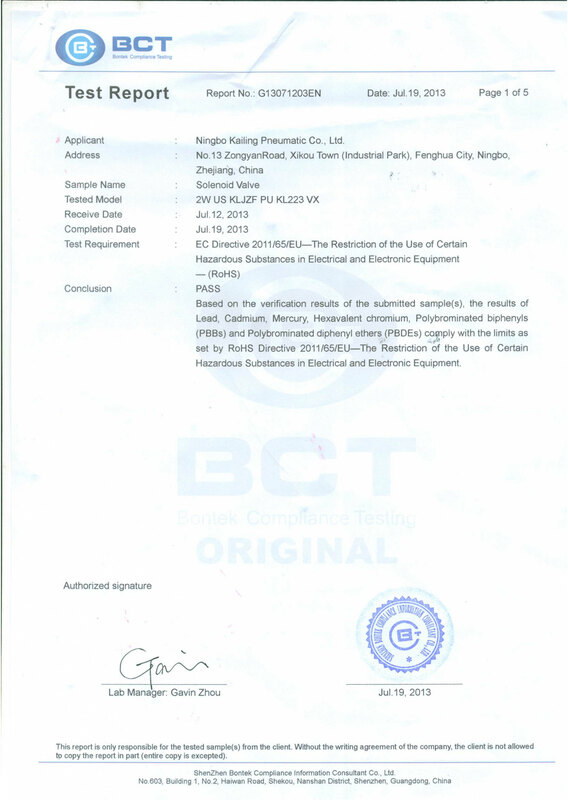 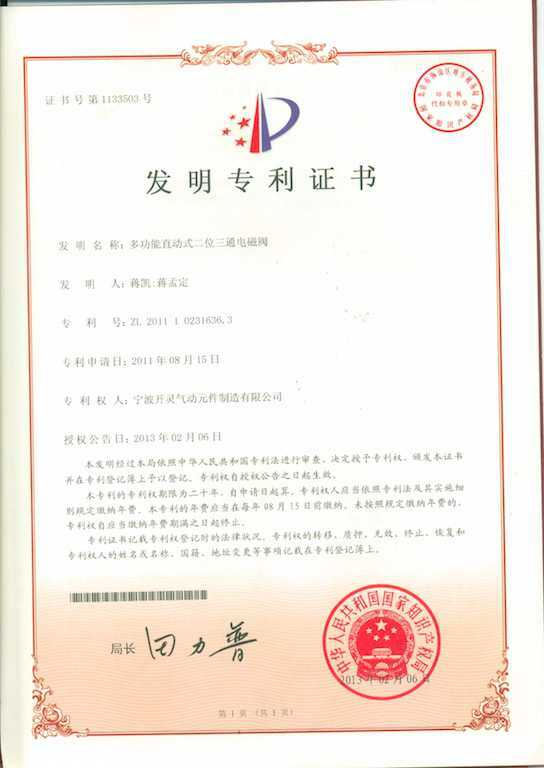 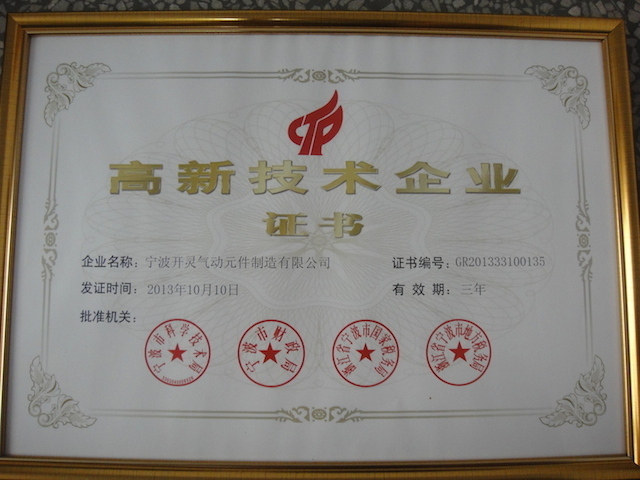 We are a key member of China Pneumatic Association, and we are awarded AAA Credit Grade by Bank of China. 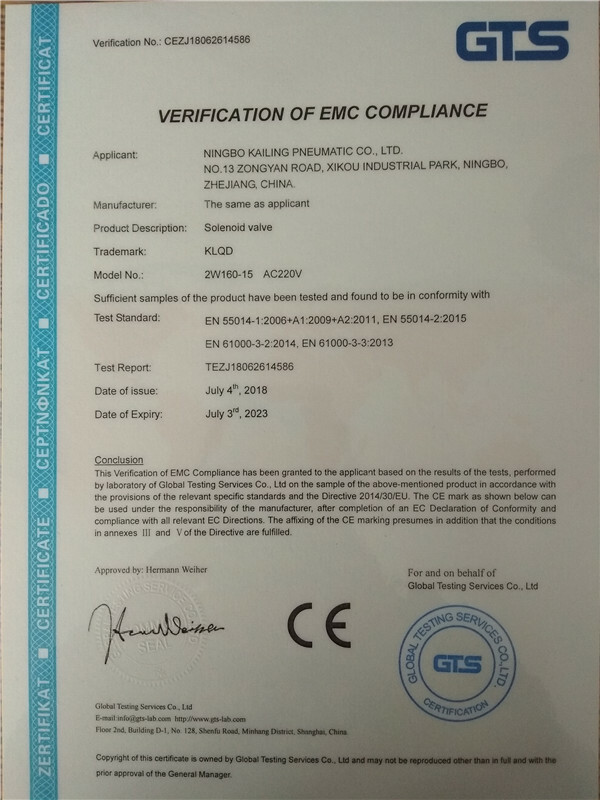 High quality of raw materials, the precision of parts, and strict tests during and at the end of production are a warranty of reliability and feature of our company. 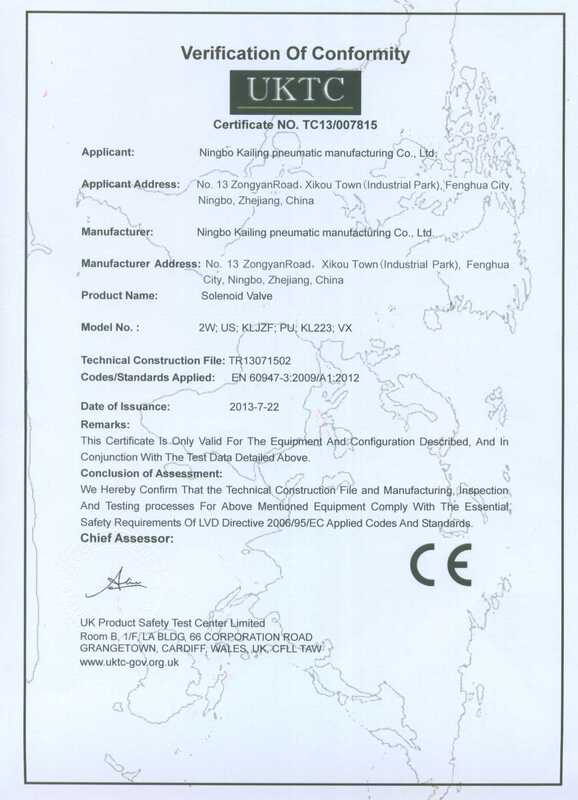 Our real strength is to develop customized products to solve any requirements of customers. 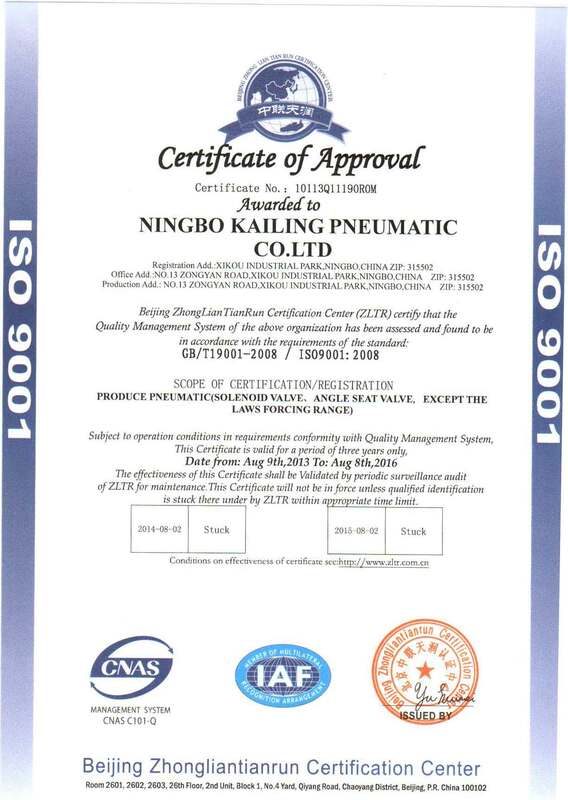 Our production runs according to the strict ISO9001:2000 standard. 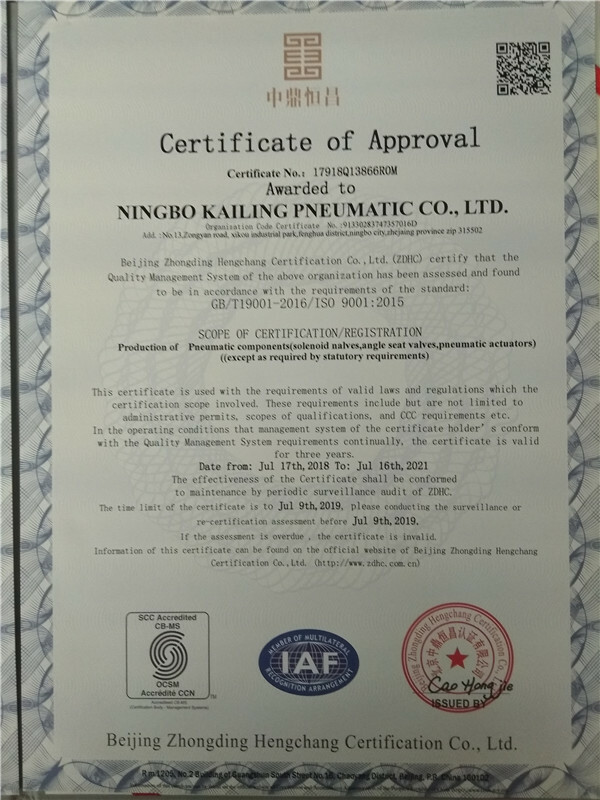 Our products include solenoid valves, process valves, and air source treatment units, which are used in a variety of industrial applications, such as machinery, metallurgy, food, textile and waste treatment. 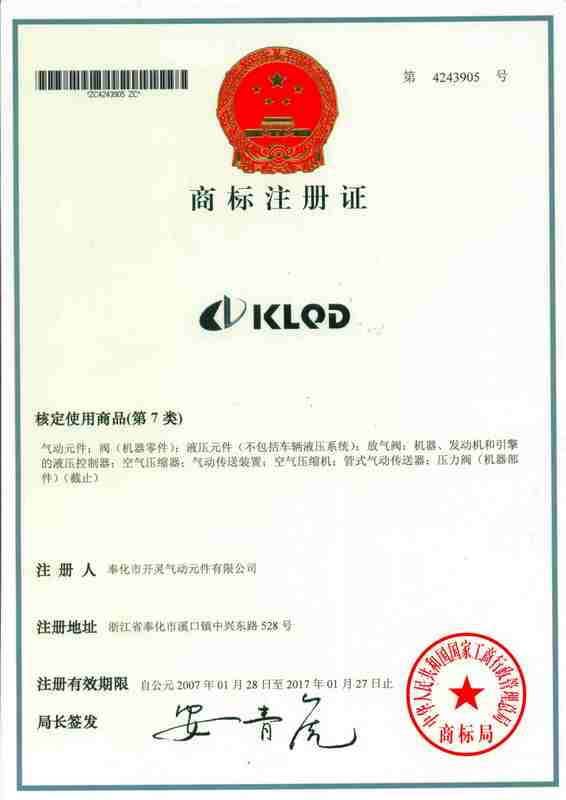 We keep creating new innovation to provide the best solutions for you.